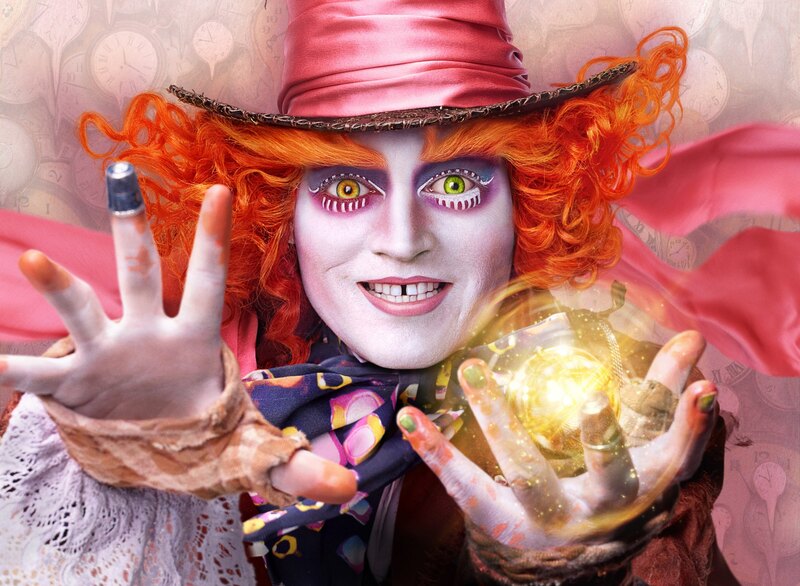 New “first look images” from “Alice Through The Looking Glass” were released today by Disney. The film reunites the cast of Tim Burton's previous blockbuster, and includes Johnny Depp, Anne Hathaway, Mia Wasikowska and Helena Bonham Carter along with the voices of Alan Rickman, Stephen Fry, Michael Sheen and Timothy Spall. Several new characters appear this time: Zanik Hightopp (Rhys Ifans), the Mad Hatter’s father and Time himself (Sacha Baron Cohen), a peculiar creature who is part human, part clock.